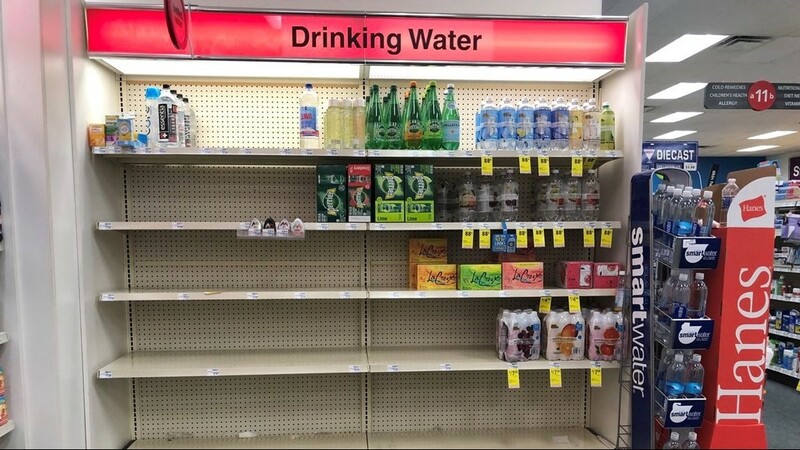 Some stores in the area are completely out of water - some aren't. We'll do our best to keep that information straight in this article. As Hurricane Florence whistles its way toward the Carolina coast, many people are preparing for the worst - as they should. It's the old refrain - better to have something and not need it than to need something and not have it. 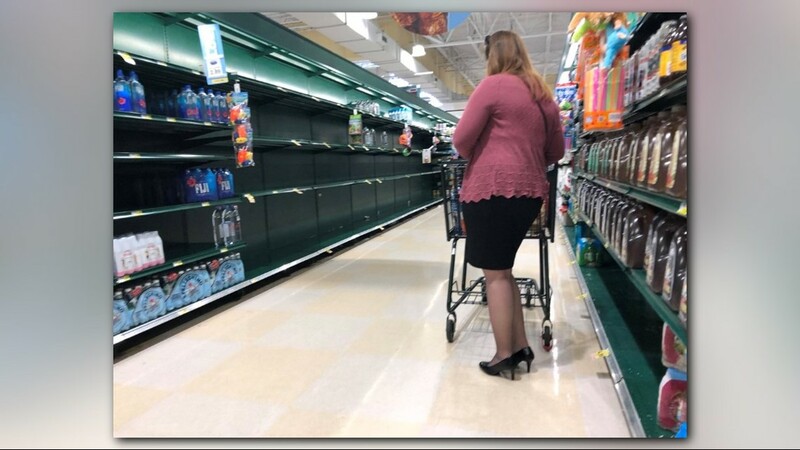 As Greensboro preps, a lot of stores are seeing their shelves sit empty as employees work to restock them. 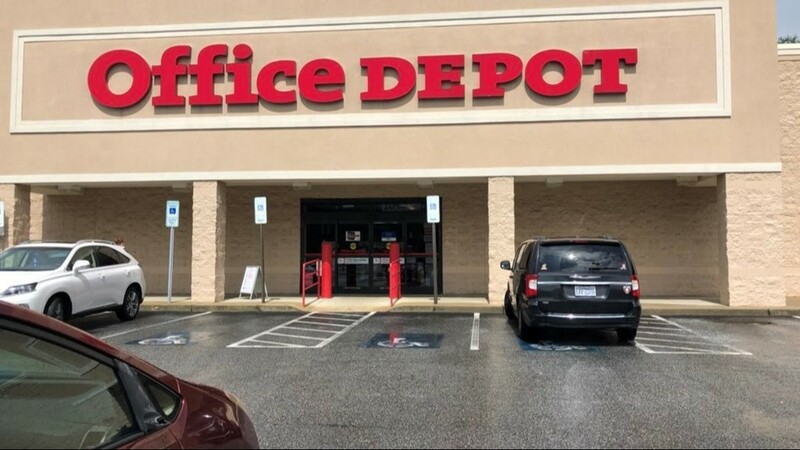 WFMY has sent crews out to many local stores in an effort to help you navigate what's available and where! Please note - we could really use your help to keep track! 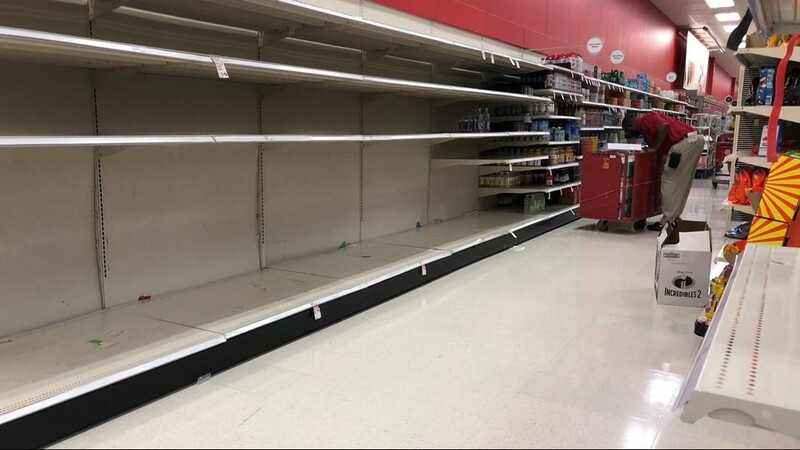 If you see any stores with water - or empty shelves, you can message us here or shoot us a tweet (even an email if you're into that)! 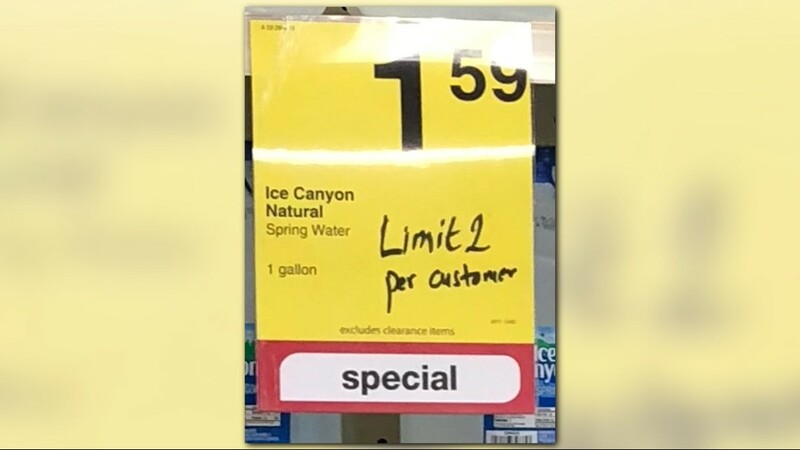 The TARGET SUPERSTORE in Kirkwood has run out of water. 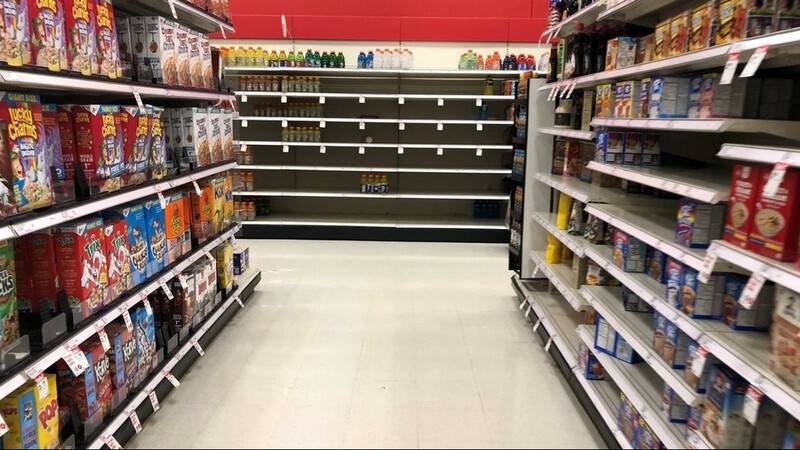 It expects to be restocked Thursday morning pending the weather. 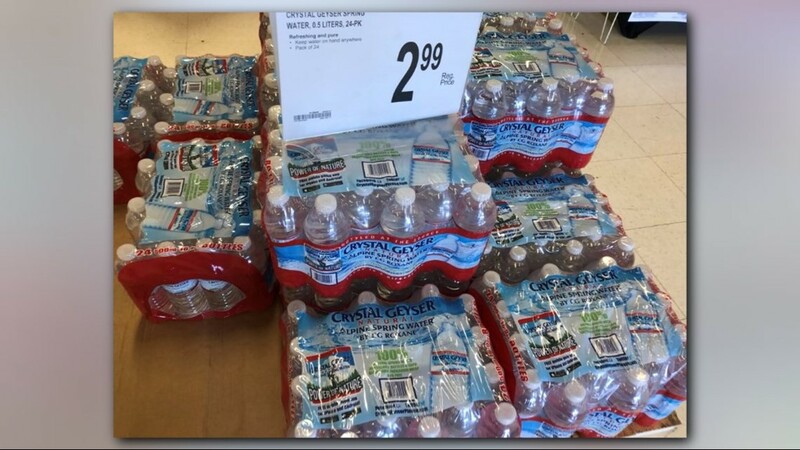 The TARGET SUPERSTORE on New Garden still has water but is limiting it to two cases per person. Thanks to Haylee for the information. The TARGET SUPERSTORE along Wendover has water. Thanks to Stacia for the help. 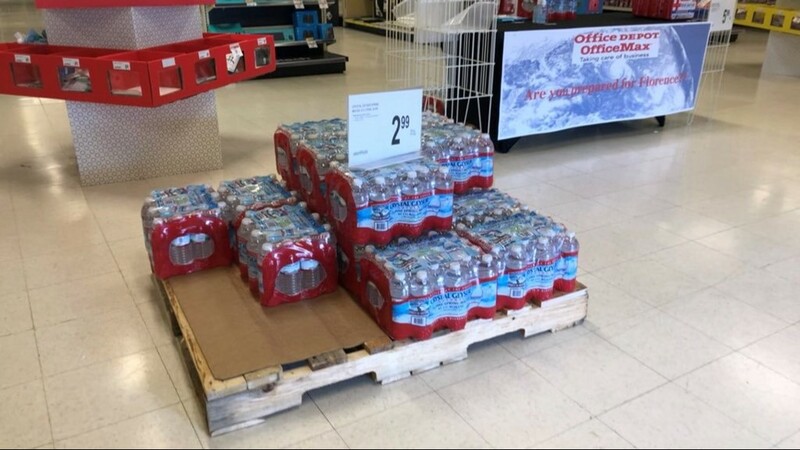 The TARGET SUPERSTORE in Burlington has plenty of water. Thanks to Hayley for the assist. 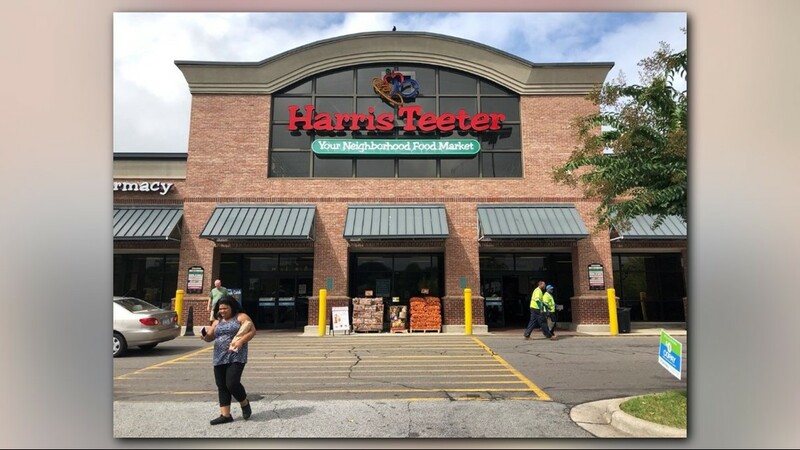 The HARRIS TEETER near Peeler Park didn't have any cases of water to be found but lots of other groceries. Employees told WFMY they hope to have another shipment in the morning, but that might change due to the weather. 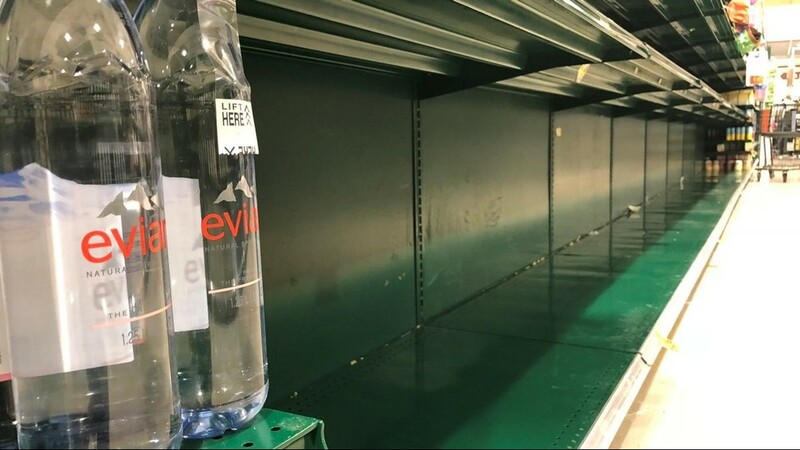 The HARRIS TEETER along Lawndale had water and bread during the AM hours but was apparently losing it fast. Thanks to viewer Stephanie for the information! 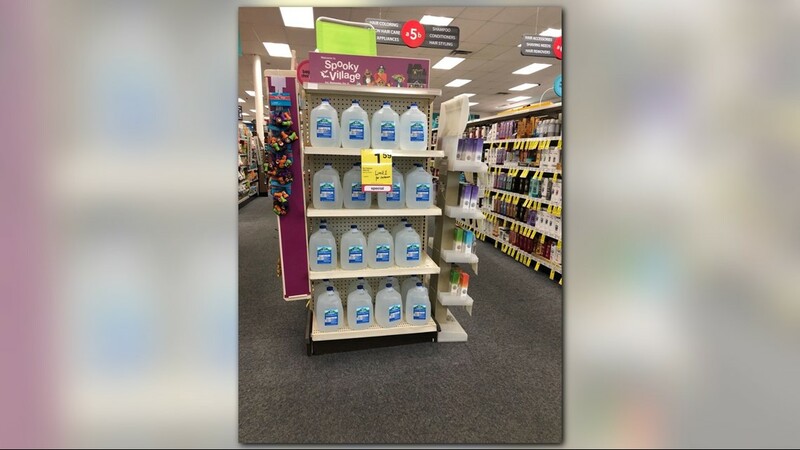 The CVS STORE at Cornwallis and Golden Gate Drive has gallon jugs of water but has a two-gallon limit per customer. The WALMART SUPERCENTER on Wendover was out of water as of Tuesday night, but may have since restocked. Have you been there recently? LET US KNOW. 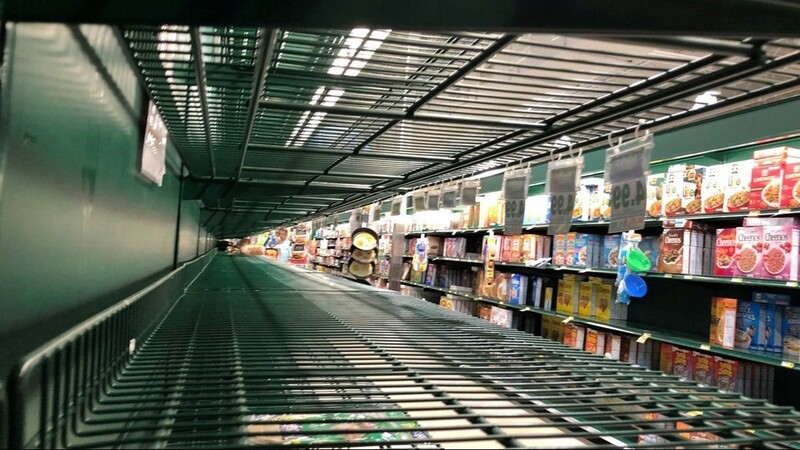 The WALMART on Cone looks as though it's having trouble keeping its bread aisle stocked. Thanks to viewer Aria for the information! The FOOD LION on Meadowview has water! Thanks to viewer Freddy for the information. The FOOD LION in Archdale has plenty of water. Thanks to viewer Ann for the info! The HOME DEPOT off Battleground has a bunch of water as of Tuesday. Thanks to Lisa for this information. Remember that price gouging is illegal in emergency situations. In fact, after Hurricane Harvey and Irma, some gas stations in Texas were forced to pay fines after being found guilty of price gouging. When a State of Emergency is activated, legal protections against price gouging come into play. If you see unfair prices, here's how you can report it. That's what we've got so far. Some viewers encourage fulling gallon zipper plastic bags with water and then freezing it if that's your thing!